Give your body a caressing soft touch with a richly-textured body lotion containing minerals and mud from the Dead Sea. Combining essential minerals with nourishing Dunaliella algae, the cream is quickly absorbed, protecting the skin and immediately wrapping it in the sensation of ultimate comfort. 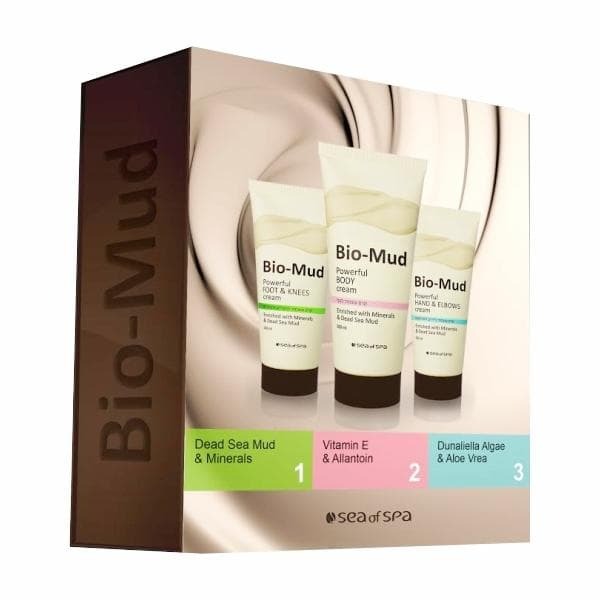 A nourishing foot and knee cream enriched with minerals and mud from the Dead Sea. Containing moisturizing ingredients, minerals and Dunaliella algae, the cream is quickly absorbed to envelop your feet in a delightfully silky feeling. A rich, luxurious hand cream uniquely formulated with natural Dead Sea mud and nourishing minerals, Dunaliella algae and sage to immediately provide the skin with intensive moisture. Powerful Body Cream: Apply generously to clean skin. Powerful Foot & Knees Cream: Apply generously to the feet and legs, massage until fully absorbed. Powerful Hand & Elbows Cream Apply generously to the hands and elbows, massage until fully absorbed.